Agrotechnomarket.com - Over the past decade, the exposure of pesticides have steadily increased in towns, cities, suburbs, and rural areas. The U.S. Environmental Protection Agency (EPA) reported that there is 176 million pounds of pesticides applied on non-agricultural lands per year. Of that, at least 70 million pounds of pesticides are applied to lawns, including golf services, residential lawns and parks. Because of that, we have to care the potential hazards associated with chemical lawn care products and services. And we can start ourselves by using pesticide application signs. Yeah, Pesticide application notifications consider people to take precautions to avoid direct exposure to dangerous pesticides. Include a 16"L black PVC sign holder. Sits 12" above the ground. Printed on front and back of sign. Clearly set forth the business name of the licensee or name of the limited certificateholder making the pesticide application. 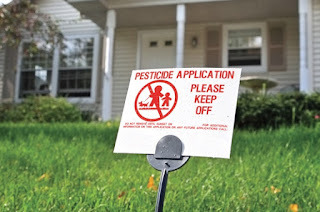 There are many sign industries that offer the alluring and custom designed lawn pesticide application signs. 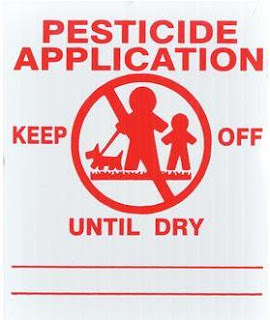 You can choose the unique design signs so that it warns people of a pesticide application which is mandatory by law. Some sign industries offer the benefit of capturing the attention of potential customers by advertising your company’s logo and telephone number. This is a free promotion way to advertise your business. Most people in the neighborhood will be sure to pay attention to your signs. In the states that regulate commercial applicators to post notification signs when they apply a pesticide to a lawn, they usually must locate the pesticide application signs in a flashy point of access to the treated property and leave it in place for 24 hours. Warning signs vary in language but THE wording state something like, “Lawn Care Application: Keep off the Grass.”, "Pesticide Application, Keep off... Until Dry" and some others. 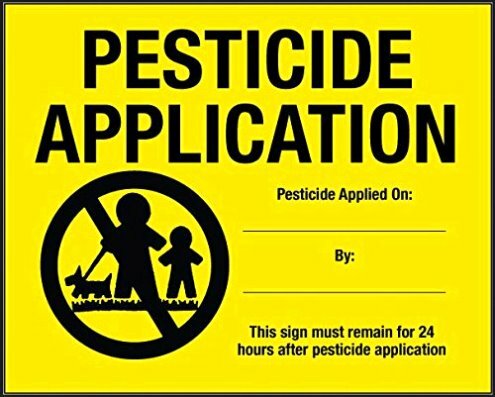 0 Response to "Pesticide Application Signs"